Marvel has done something impossible. They have proved that you can make four independent films, then bring those films together in a single shared universe, that you can make a major blockbuster uniting that universe, and not only have it be one of the best films of the year, but also hugely profitable. They did what no one else has ever attempted (Tim Burton's Superman Lives was rumoured to feature a cameo by Michael Keaton's Batman, but that film never happened), and what no one thought could be possible. And now they're going to do it again. 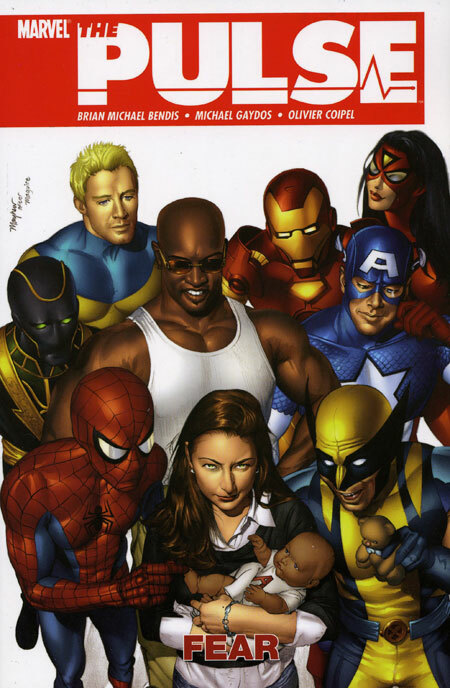 Because they're taking the MCU to television. I think people have glossed over how big a deal this is. Marvel intends to have both multiple films and a TV series all taking place in the same universe, concurrently. Events in one will (presumably) effect the other. This will be a huge undertaking, and one that has never been considered before. Because it's crazy. Which got me to thinking. If they pull this off, it could be the beginning of something bigger. Dare I imagine a future where, along with multiple films, we have multiple series airing on ABC, all taking place in the MCU. A future where the majority of the Marvel Universe is represented on film in some way. Is this even possible? I've mentioned a couple ideas in posts over the last couple months, but today I choose to elaborate on what were originally fleeting thoughts, but have dug into my brain, and won't get out. After the jump, I provide the outlines to three possible series, based on Marvel properties, that I feel would work as TV shows, in conjunction with SHIELD. I've also suggested who I think would do the best job running these shows, and who should star in them. I have chosen the best people for the job, availability be damned. Hit the jump to look at the pitches. Starring Josh Lucas as Matt Murdock, Tyler Labine as Foggy Nelson, Angie Harmon as Jennifer Walters, and Ed Asner as Holden Holliway. The Pitch: In Hell's Kitchen, crime and poverty are common. The law firm of Nelson & Murdock try to keep the good people safe, and the bad people in prison, but pro bono cases don't bring in revenue, and the firm is in danger of collapsing. Uptown, the firm of Goodman, Lieber and Kurtzberg is reacting to the revelations of The Avengers: not only are aliens real, but the government has a team of superheroes that managed to save the world. Senior partner Holden Holliway sets up a specialised division of the firm, headed by Jennifer Walters, to deal with cases related to possible future super heroics. Holliway approaches rising legal star Matt Murdock with a proposal. Come and join this new division, and his company will buy out the failing Hell's Kitchen firm. Murdock agrees, on the condition that they keep Nelson & Murdock open, taking on cases of community importance. The series would follow the two firms. N&M would handle the stories Kelly is known for, those of social or cultural importance. The causes, and effects of crime. G,L&K would handle the bigger, Marvel-related stories. A sudden rise in vigilantism, law suits brought against citizens wanting to help, and larger issues, political attempts of suing the Avengers for the damages inflicted in the film, that sort of thing. Holliway would act as a elderly mentor to the junior associates, and someone through whom the show could show how profound the world has changed. The Reasoning: David E. Kelly tried, and failed miserably, to get into superheroes with the terrible Wonder Woman pilot last year. Joss Whedon himself noted that it was too far outside of Kelly's wheelhouse. Now that Daredevil rights have reverted to Marvel from FOX, along with various connected characters, it opens up the oddly bountiful world of legal drama in the Marvel Universe. Focus less on the She-Hulk/Man Without Fear angles, and more on the procedural aspects of what would be a very chaotic time in the city, and in the country. Superheroes would create a lot of legal unknowns. Draw parallels between the hot button issues of today, which Kelly loves to rant about, with issues that would be effecting the MCU. Can the military legally experiment on people, like Cap and Hulk? 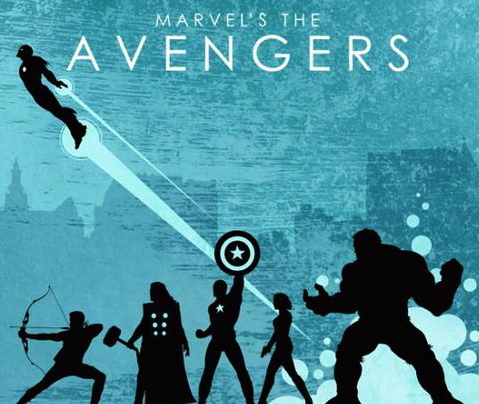 Do superheroes have the same rights as everyone else? Who gives them the authority to act as police? What constitutes an 'Act of God' when Gods walk among us? By dividing the show between the two law firms, the Nelson and Murdock cases can be more realistic, and the G,L&K cases can be more extreme. 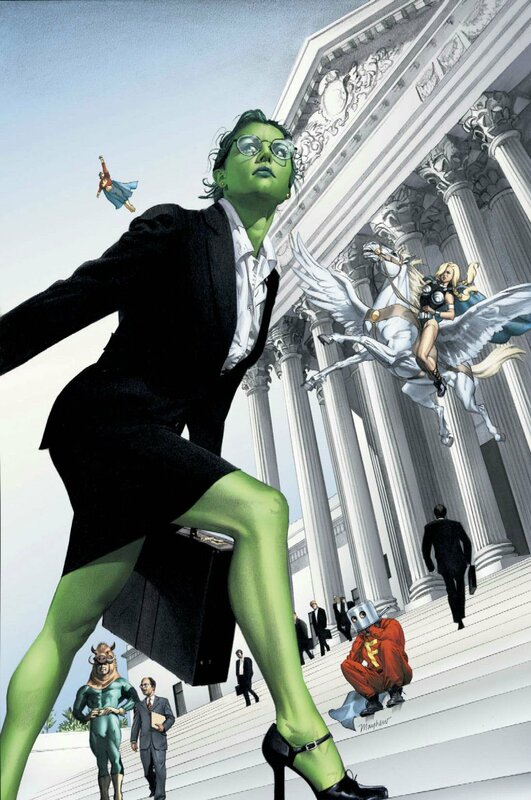 And, with absurd, fourth wall shattering humour being a staple of the She-Hulk comics, the series could play a little closer to the Boston Legal formula. Starring Paget Brewster as Ann-Marie Hoag, Nester Carbonell as John Porter, Jonathan Slavin as Bart Rozum, Ethan Suplee as Eugene Strausser, and Chris Parnell as Albert Cleary. The Pitch: In the aftermath of the Chitauri attack on New York, Ann-Marie Hoag didn't see a philosophical redefinition of humanity, and it's place in the universe; she saw profit, and formed Damage Control, a clean up company that specialises in the aftermath and (sometimes strange) effects that result when aliens, heroes and Gods do battle. A work place comedy, it would follow Hoag, and her top-line crew, including team leader John Porter, technicians Bart and Eugene, and accountant Albert Cleary, as they react, and are forced to deal with, what the real heroes leave behind. Think Ghostbusters, by way of Taxi. The Reasoning: After The Avengers came out, a real damage assessment team filed a report on how much the recovery would cost. It is a fascinating document, but it highlights a forgotten effect of these sorts of blockbusters: the collateral damage. In the real world, police, fire, EMT, FEMA, the Red Cross, Doctors Without Borders, the National Guard, and international aid would all be involved in the clean up, as well as private companies. In most movies, the damage is done, and the movie ends. No so here. The nature of the MCU means that, by the time the next movie arrives, the damage to New York either has to be fixed, or still be there. And why should all entries in the MCU be drama based? A comedy based in that world, that serves to highlight and endorse the more ludicrous elements that the films and other series can't touch, means that more of the Marvel Universe gets represented, and we as viewers can have a little fun too. Fresco's previous series, Andy Richter Controls the Universe, and Better Off Ted, are among the smartest, craziest work place comedies out there. His kind of rapid fire comedy, specialising in brick jokes, word play and a strict adherence to playing it all perfectly straight make it the spiritual successor to Airplane and Naked Gun, only far less lewd. As I was thinking about this, I wrote a joke to highlight the sort of absurdity a comedy about the people who clean up after superheroes could have, which I provide below, and which Marvel is welcome to use, in exchange for credit and payment. Eugene: I appreciate the appeal of genetic engineering as much as the next guy, but why would anyone create anything with so many eyes? Bart: I know. Even though I was suctioning up it's liquefied remains, I felt like it was judging me. John (to Ann-Marie): I think the guys need a break. They've been working nonstop for months, and the last few jobs have been pretty weird. I think it's getting to them. Bart (in the background, into a tub of goo): STOP LOOKING AT ME! Starring Enrico Colantoni as Ben Urich, Amy Acker as Jessica Jones, Judy Greer as Kat Farrell, and Ruben Santiago-Hudson as Robert "Robbie" Josephson. The Pitch: Ben Urich used to be a somebody. Winner of the Pulitzer Prize, feared by corrupt politicians, respected by the community. When tragedy struck, he lost his edge, he lost his desk, until finally he crawled inside a bottle and decided to stay there. Then superheroes happened. And space aliens. And the suddenly the world seems interesting again. Forcing himself back into the world, and pulling a few strings to get a job on the struggling Pulse, along side seasoned reporter Kat Farrell, who would prefer to ignore superheroes all together, and new-on-the-job Jessica Jones, whose past is as unknown as Urich's future. The Reasoning: In a way, this nearly happened already. Melissa Rosenberg, of the Twilight films, pitched ABC a series called AKA Jessica Jones, which they passed on in favour of SHIELD. But, the fact that it could have existed is evidence enough that Marvel didn't loose rights to the Jones character to Sony with Spider-man. Which means The Pulse, the Daily Bugle-published insert, might still be up for grabs. The Urich character is, having been part of the Daredevil rights. It plays it pretty close to the line, which is why I would have the editor of the paper be Robert "Robbie" Josephson, who is in no way related to Joesph "Robbie" Robertson, long time J. Johan Jameson partner and Spider-man character. The series would basically be the examination of three people at various stages of what could be the same life: the up and coming, trying to leave their mark; the middle of the road, working their way through their potential; and the down and out, looking to reclaim former glory. 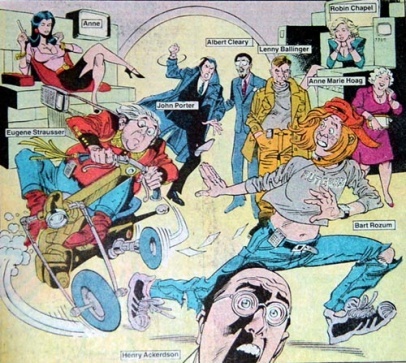 Characters like the Kingpin could provide series long antagonists, as well as cross over potential with Murdock and Associates. I suggest Thomas based entirely on his work on Veronica Mars and Party Down, though I'd aim for a tone closer to the former. Amy Acker, if she isn't going to find a place in SHIELD, could play the secretive Jones, through which there could be a connection to Joss' series, adding even more cross over opportunities. Mostly though, because Acker needs to be a star immediately. Judy Greer would be great as Kat, who I would imagine as constantly abrasive and dismissive, equally in awe of Urich, who was one of her idles, and bitter that he wandered into the paper, and stole her position. That, and she deserves to play someone who isn't a complete ditz or sexual deviant. And Colantoni as Urich, because in my mind, that's just about perfect casting.